Kurashikku is well-balanced and features a mellow blend of lactic and amber acid. It has a distinct nose with a lingering finish. 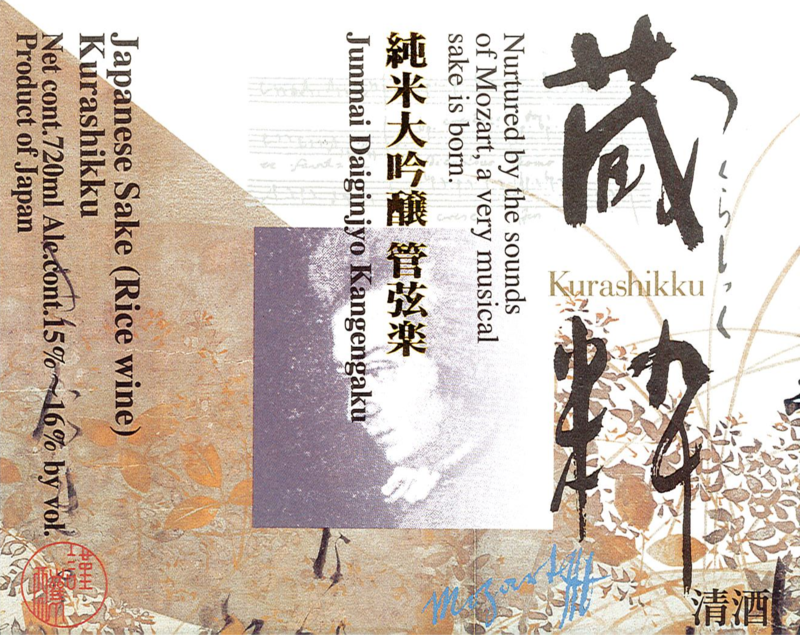 Mozart concertos are played during the sake production process to enhance the flavor. Extremely Delicate, Surprisingly Complex, Balanced Acidity, and Clean Finish.